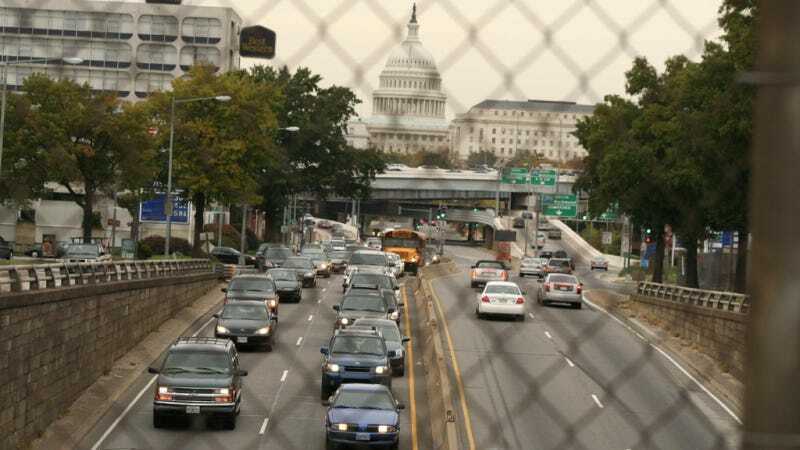 Hundreds Of Unused Government Cars Are Just Sitting Around D.C.
Washington D.C., that shining example of efficiency, is apparently full of hundreds of government-owned cars just sitting unused in their parking spaces, some with fewer than 1,000 miles on the clock. Great job, federal government! The Washington Post cites a new report from the Department of Defense Inspector General that claims about 511 "non-tactical" vehicles, including 89 with less than 1,000 miles, are simply parked around the District. Those vehicles are owned by various Defense Department agencies like the Navy, the Defense Logistics Agency, the Pentagon Force Protection Agency, and Washington Headquarters Services. The report says eliminating the unused cars would save taxpayers about $7.2 million over the next six years. In addition, the Defense Department was found to have no real guidelines on how to use 335 law enforcement vehicles in their fleets. Your tax dollars and mine, hard at work. Or in this case, not hard at work.